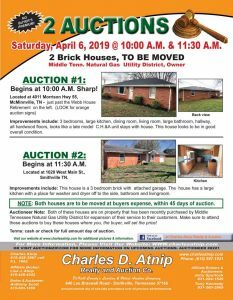 With more than 30 years’ experience, Charles D. Atnip Realty and Auction Company provides a complete auction service and realty company to meet the needs of DeKalb County and the State of Tennessee. We specialize in the auction sales of real estate, farms, farm machinery and equipment, estate and household sales, antique auctions and business liquidations. With three licensed auctioneers, we provide a complete crew of auctioneers, clerks and cashiers, and auction sales management. 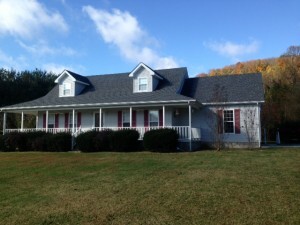 You can relax while the Charles D. Atnip Realty and Auction Team handles all the work. Our auctioneers assist you in enhancing the value of your property prior to sale and will position the property with the utmost exposure when it comes on the "auction block." Our goal is to help you achieve the highest possible price for your property in the shortest amount of time. Our methods work and bring outstanding results to our clients. We do private listing and our agents are dedicated to private listing. A tradition of hard work, personal pride and integrity helps us work harder to make your auction a success. 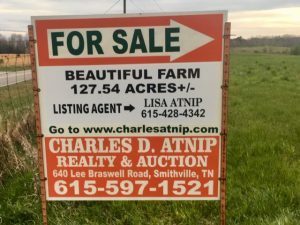 Whether you’re selling your home, the family farm or business, Charles D. Atnip Realty and Auction Company can help guide you through your transaction to insure your ultimate expectations become a reality. 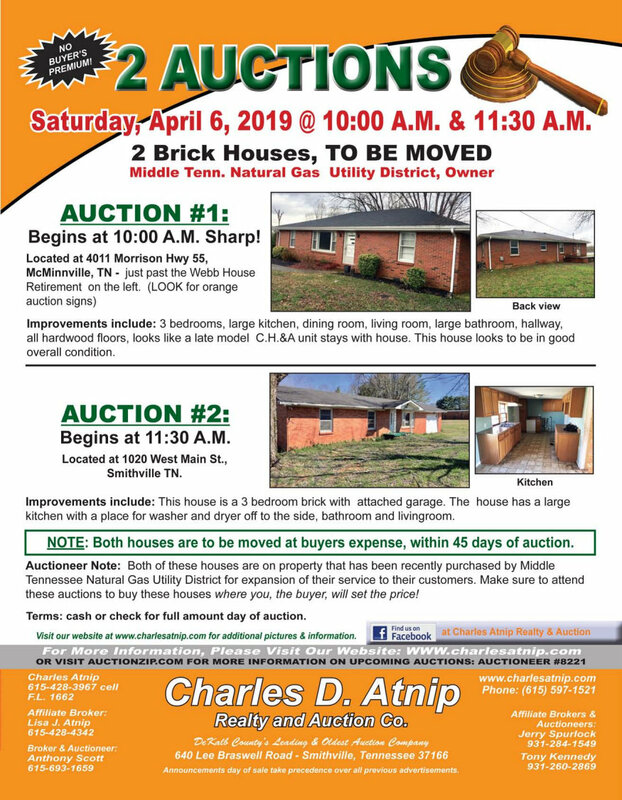 Charles Atnip Realty & Auction Co.